You can see this monster GMC maintaining its presence inside of this Fire Station and it definitely looks at home here. You can see the difference between the factory lights and the HID for sure, since the incandescent headlights looks pretty dinky compared to the super bright output of HID that there’s absolutely no comparison at all. 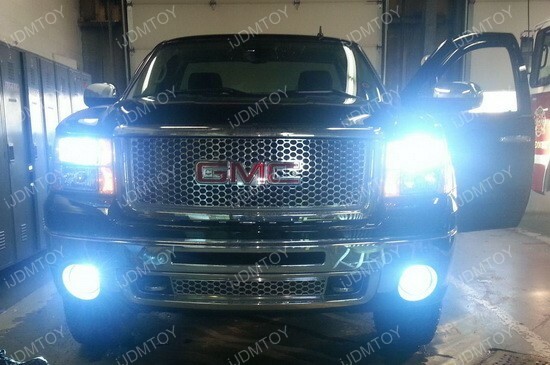 When you see the matching HID headlights and fog lights you can imagine just how bright everything is at night. It would make driving in near darkness a total breeze. 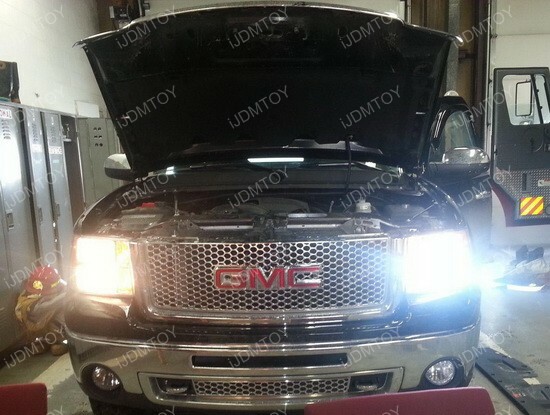 There really is no better showcase of how the 6000k HID Conversion Kit works because the crisp, white glow of the headlights looks out of this world. 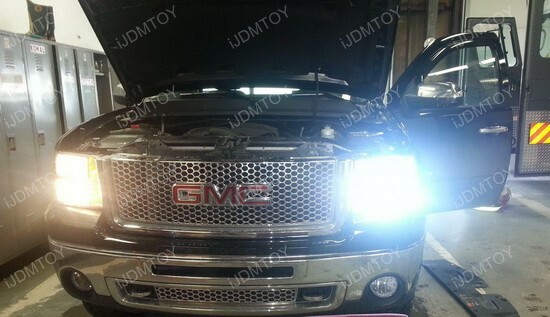 This entry was posted in - LED & HID Updates, GMC and tagged All American, American, car lights, car parts, cars, GMC, GMC Sierra, HID, HID Conversion Kit, iJDMTOY, LED, Sierra, truck by Shari. Bookmark the permalink.